Jennifer Berry, Lab and Apiary Manager at the UGA Honey Bee Lab, says this is the most common reaction people have upon tasting fresh, locally-produced honey for the first time. Unpasteurized, pure honey really can have a staggering effect on your tastebuds. The difference in flavor, color, even texture of the different varieties is shocking…in a great way. We took a trip out to the UGA Honey Bee Lab to learn more about the bees that have been supplying our honey at The National all summer. From blueberry to sourwood to tupelo to canola, honey varieties have seasons just like any other fruit or vegetable. It all depends on what plants are producing nectar, which means that every region has its own unique honey varieties that change throughout the year. We love to drizzle UGA’s wildflower honey mixed with lavender flowers over goat cheese as an appetizer. You can buy UGA honey too! 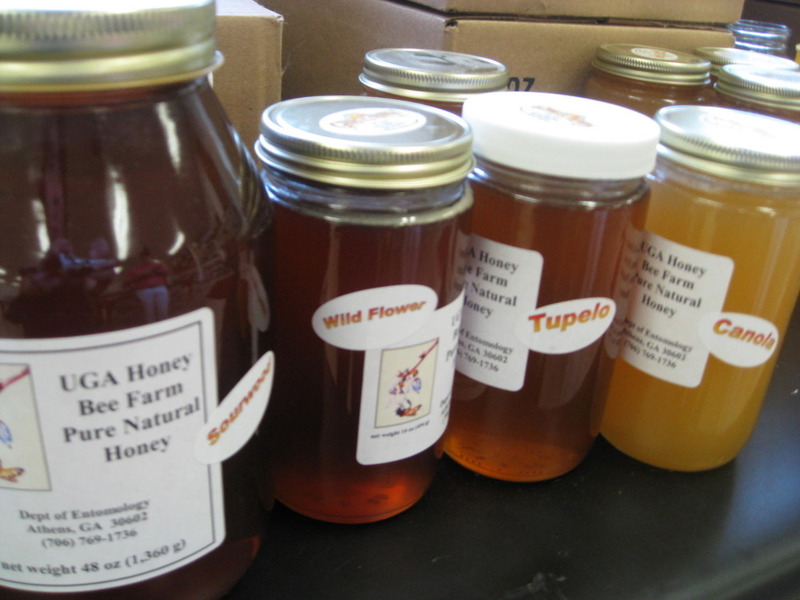 Pure Georgia Honey from the Honey Bee Lab is sold at two locations: Athens Seed, Lawn and Garden, Inc. (54 Greensboro Hwy., Watkinsville, Georgia) and at the UGA Department of Entomology main office (room 413, Biological Sciences). Current varieties include Sourwood, Blueberry/ Blackberry, and Wildflower.